Per your request, we took our popular 4g and made prerolls! This unique Indica is crossed with Star Dawg (Guava) •x• Kosher Kush. 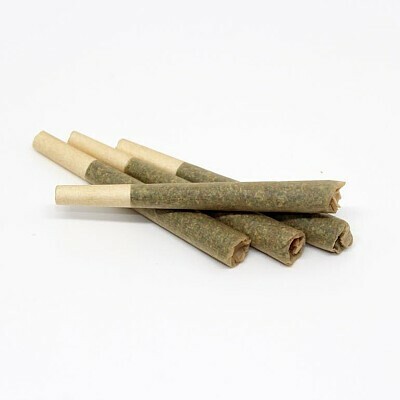 The Kush flavors dominate with a clear blend of classic earth, pine, and gas. Kosher Dog relaxes your body and melts away the day's stresses with a strong all-over high that is perfect for winding down. Novice consumers should proceed with caution; Kosher Dog can leave you couch-locked if you consume too much too quickly. Bred exclusively by DNA Genetics and selected by Pacific Reserve.